Many years ago, shortly after ordination, I had the experience of being burgled. Like others in a similar situation I found that the home invasion lingered unpleasantly in the memory and made it difficult to relax in what had, up until then, been a homely space. Six weeks later a cheque arrived to cover some of the stolen property and it was then that a phrase from my year as a philosophy student came to mind; ‘The art of living is to make a good thing out of a bad thing.’ It came from a little book entitled Small is Beautiful by E. Schumacher. The thought inspired me to use the cheque to do something other than replace the stolen items. Instead, I resolved to fulfil a lifetime ambition and bought a ticket to China where I spent the Easter holidays at a time when I wasn’t obligated to help in a parish. 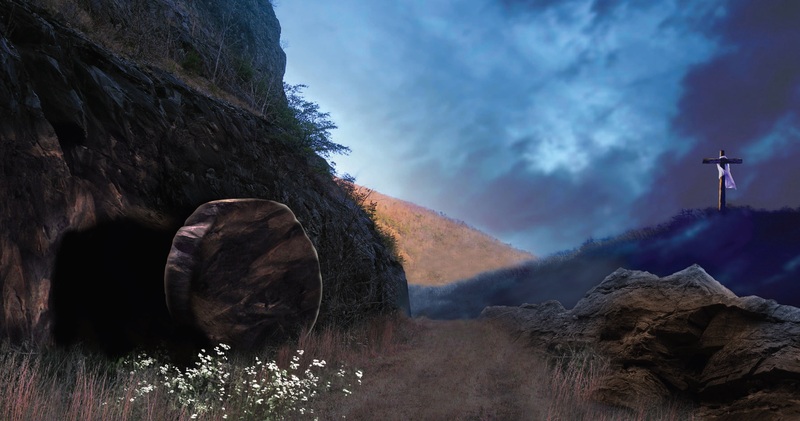 On Easter Sunday morning I began to wonder if it had been such a good idea to be somewhere that held no celebration of Christ’s resurrection, not even a church or sacred place to visit. After breakfast our assigned guide told us that we would be visiting the graves of the former Ming emperors outside Beijing. And so it came to pass on that Easter Sunday morning in the atheistic capital of the world that I stood outside an empty tomb in a quiet garden listening to the story of its inhabitant who had been buried in splendour with his treasures and human and animal sacrifices to bring with him to the afterlife where they would ensure his continued high status among the dead. As I gazed into the tomb and saw the splendid burial garments and treasures, I thought of that other tomb with its discarded shroud and napkin and of him who was to be found among the living and not the dead and I experienced something of that joy that this season promises from the God who always makes a good thing out of a bad thing. May it be yours this Easter also.